The two men responsible for the heavenly tunes of Super Mario Galaxy are returning to work together again in the recently announced Super Mario 3D World on the Wii U. Super Mario Galaxy has never been my favorite Mario game, but one area it is able to stand out from the pack in is with its music. Soaring high amongst the planets and through the stars is only magnified by the talents long-time Nintendo composer Koji Kondo and relative new-comer Mahito Yokota. The two were able to take Mario’s familiar themes to new heights with fully orchestrated pieces. With the two returning, the possibility of more orchestrated magic could very well happen again. Destructoid was not only able to confirm that both song writers will be returning to work, but that orchestrated themes might also be making an appearance again. Destructoid received “a wink, and a coy, ‘Wait for more information about that soon,'” on the matter. Should this be true, I would be sold in a heartbeat to at least hunt down the OST. Only problem is that grand orchestrated pieces fit the mood needed for a celestial game like Super Mario Galaxy. 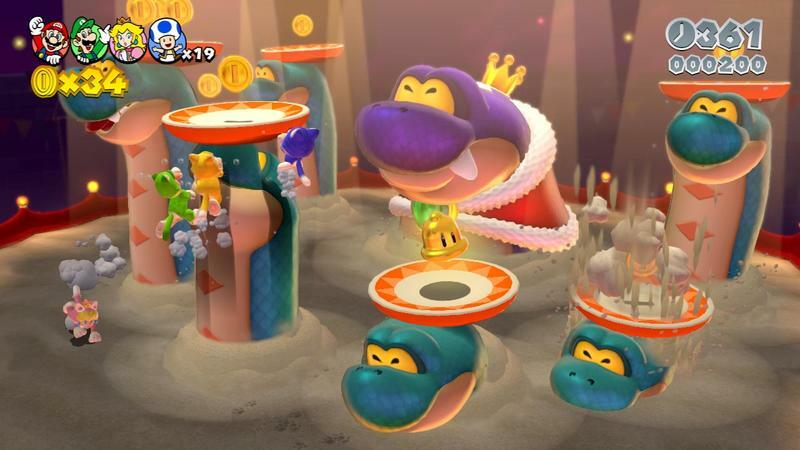 Super Mario 3D World is a much more grounded and traditional wacky experience from the look of it. Will the two styles match, I wonder, or are they going to come up with something entirely new and brilliant instead? Only time will tell. Super Mario 3D World was announced during this week’s Nintendo Direct conference, and it will be released for the Wii U.